1. First, mix 1 tsp. of olive oil with the spice mix and rub all over the swordfish steak. Set aside. 3. Add the passata, beans, spices and rosemary to the pan and heat on low for ten minutes while you cook the swordfish. 4. Heat a griddle pan until very hot. Add the swordfish and cook for 3 minutes each side. Set aside to rest for a couple of minutes before serving with the beans and a salad, some sweetcorn or a fresh salsa, if liked. Swordfish is a great source of protein, potassium and omega 3, as well as containing almost all of your recommended daily intake of vitamin D. The addition of the beans and a salad or similar, makes this a well-balanced meal ideal for those in training. Swordfish is a good source of protein, and those good old cannellini beans have many benefits, including giving you steady energy. Our featured ingredient, rosemary, can help alleviate muscle pain. Down through the centuries rosemary has been used for its medicinal properties and great taste! Check out some of its main benefits. 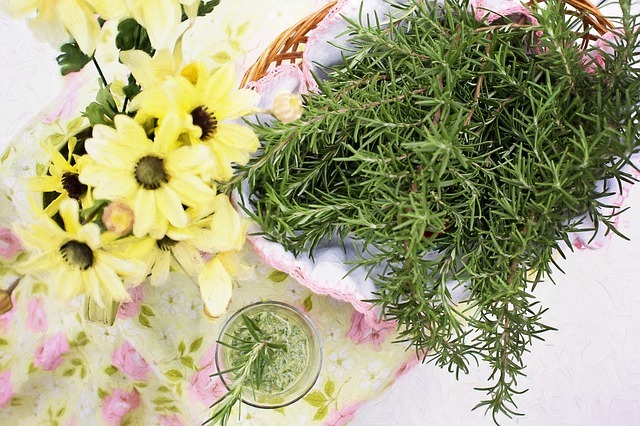 Rosemary can help alleviate muscle pain. This tasty, nutritious herb is rich in anti-inflammatory compounds and anti-oxidants.Rosemary can also boost your immune and circulatory systems.